AUV61S series uLongnique 520mm long light path design greatly improved resolution and the bandwidth can reach 0.5nm. 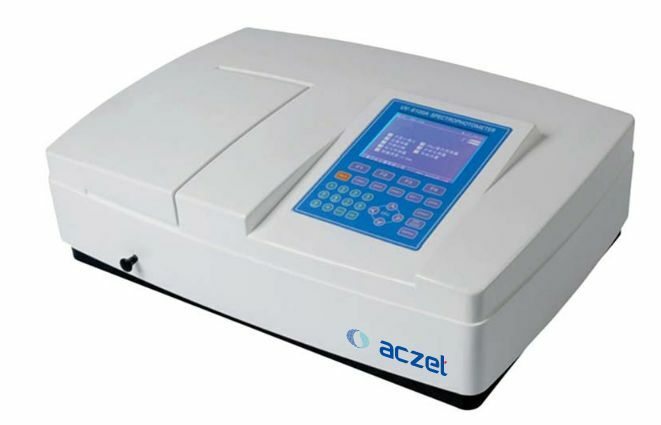 Multi functions operated directly on the spectrophotometer and display the test result curve and data wavelength scanning, standard curve, kinetics, multi wavelength scanning, DNA/Protein test. AUV-61S series use a rigid 16mm die-cast aluminum base as reliability. 6” LCD display to show results and curves directly on the screen. AUV-61S series are equipped with USB port to connect with a PC, and the software comes standard with the instruments. Multi functions like spectrum scanning, standard curves, kintetics, multi wavelength scanning, DNA/ Portein testing can be operated directly on the PC.